Art is a beauty that never fades, while Comfort is our daily wellbeing. With the support of technologies and craft production we have created VENEZIA Coral, the Moonpur mattress that is a perfect blend of originality, quality and comfort. 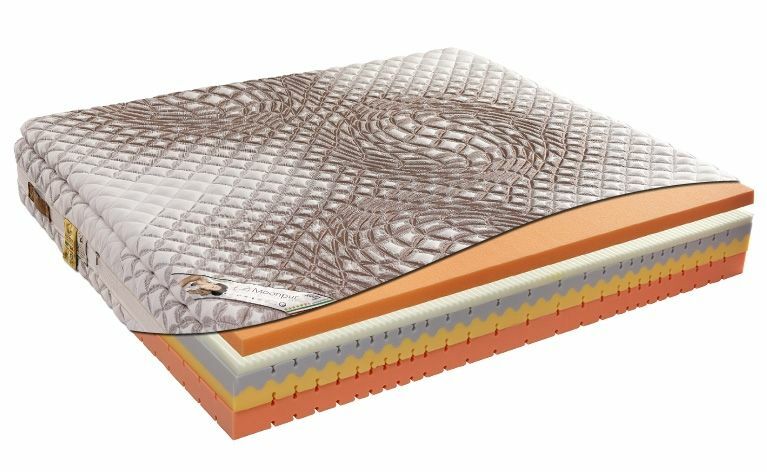 The VENEZIA Coral is the anti-decubitus mattress consisting of 5 layers of high-resilience material. It has been designed in two versions, hard and soft. Thanks to its special composition, the VENEZIA Coral mattress allows the body temperature to adapt quickly to external temperatures, maintaining a high level of freshness, due to the innovative POLIGEL open-cell material.